How the little island of Dominica has embraced its reputation as the “real” Caribbean. Imagine a unique and unspoiled land, free of pollution and overdevelopment and full of natural beauty. Many of the islands in the vast Eastern Caribbean archipelago display a sense of modernized atmosphere and they are driven by the new ways and are somewhat spoiled by the need of convenience. However, one island stands alone and is spectacular in its natural and unhampered form. 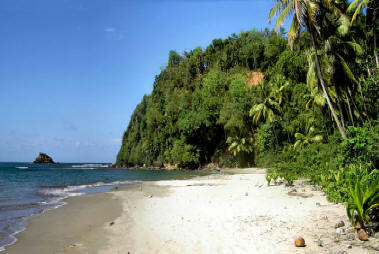 The lush and fertile island of Dominica is exactly this: a true paradise for all to enjoy. But what makes this island so different than all the others in the Caribbean? The panoramic vistas here magnify the raw beauty in a way that is unparalleled. As you gaze upon the sparkling waterfalls that seem to be a flood of light beams pouring down from the sky, you can truly understand what it means to enjoy nature and all its charms. 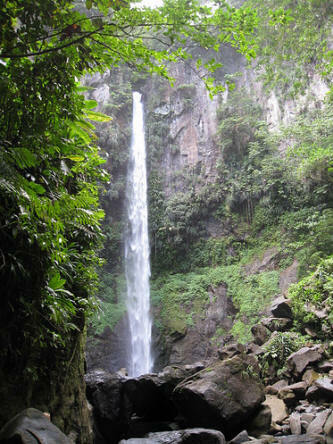 The visitors to Dominica consider themselves fortunate to be able to be a part of this land and to attempt to discover the mysteries held within. From the luxurious villa rentals overlooking volcanic black sand beaches and the resorts that are nestled in the middle of the rainforest, to the tiny cottages perched on mountain tops that allow for the best hiking that the island has to offer, these choices are all designed to deliver a vast array of options to fit any budget, personal preference and event. 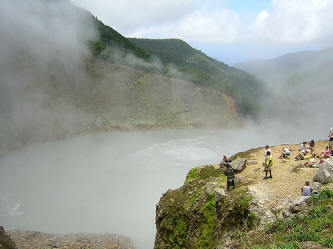 There seems to be something for everyone on Dominica Island. No matter your dream for your Caribbean vacation, you are sure to have one of the most memorable times of your life during this very real Caribbean experience.